In ASTHMA ALLEY, Cynthia Ruales finds hope in music when climate change, air pollution and worsening pollen seasons intertwine in ways that make it hard for her to breathe. Cynthia lives with her mother in an area of the South Bronx known as “asthma alley” where the rate of this chronic disease is 8 to 12 times higher than the national average. While Cynthia fears the drug and gang violence that define her neighborhood, she worries even more about the daily assault on her body caused by the highways, truck thoroughfares, and open-air industrial facilities that surround her. Although she discovers that she can increase her lung capacity by playing the saxophone and clarinet, she continues to suffer life-threatening asthma attacks. Her story sheds light on the complex relationship between fossil fuel combustion, climate change, more potent pollen seasons, and increased emergency room visits. Cynthia performs in a much-anticipated concert organized by community activists to raise awareness about record-high asthma rates in the South Bronx. The widespread distribution of this film is essential to amplify the voices of the environmental justice advocates who are behind the event featured in the film’s finale, and to respond to the fact that environmental harms are distributed along familiar lines of race and poverty. South Bronx Unite (together with several local businesses and community members) has partnered with Columbia University Mailman School of Public Health on an 18-month collaborative research project measuring air quality, traffic and noise in the Mott Haven-Port Morris area before and after FreshDirect adds its additional 1,000 diesel truck trips through the community every day. This study is unprecedented and critical to demonstrate the need to address the health crises in the South Bronx and enact mitigation measures to change health outcomes. In March, our attorneys from New York Lawyers for the Public Interest (NYLPI) argued in the Bronx Supreme Court that FreshDirect and government officials failed to sufficiently assess the environmental impact of the company’s proposed move to the South Bronx when they relied on a 1993 environmental review of the site to evaluate the impact of FreshDirect’s self-disclosed 1,000 daily diesel truck trips through a residential community notoriously plagued by high rates of asthma and cardiovascular disease. Despite expert testimonies documenting the severe health and environmental consequences of the project as well as the overwhelming support of 50 organizations calling for a full environmental impact statement and the denial of subsidies, Justice Mary Ann Brigantti-Hughes delivered her ruling in June that a two decade old environmental analysis was sufficient for this community. We appealed the decision, together with support from internationally renowned Natural Resources Defense Council, which filed an amicus brief in support of South Bronx Unite and blogged “Will Fairness Prevail in the South Bronx?” In December, South Bronx residents flooded the Appellate Division, First Department, courtroom as NYLPI argued our appeal before a panel of judges. While we await the decision of the First Department, we are mindful that our legal system does not always provide an avenue toward justice and that we must keep focusing on a broad-based and diverse opposition to this project. As we look to 2014, we are profoundly aware of the numerous additional hurdles FreshDirect must cross, each of which presents a new opportunity for the community to be heard on this project, including the need for FreshDirect to receive a zoning override as well as the need of FreshDirect to make a formal application, triggering formal hearings, for the additional $50 million subsidy from the Empire State Development Corporation. A few Bronx politicians continue to advocate for and aggressively protect antiquated policies of subsidizing polluting industries with low wage job promises in the South Bronx. Change is hard. In 2014, we will continue trying to find ways to work with all of the borough’s elected leaders for the betterment of the Bronx. 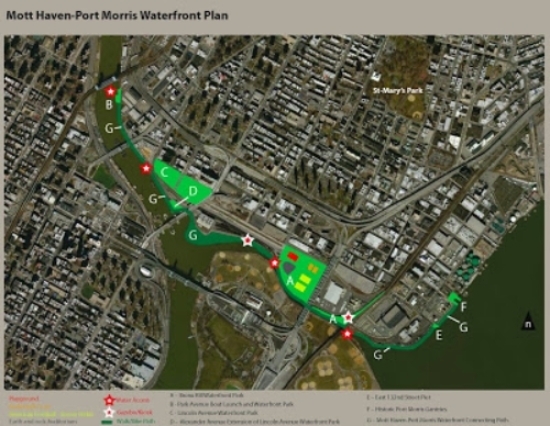 In March, South Bronx Unite developed the Mott Haven-Port Morris Waterfront Plan, a blueprint of seven interconnected waterfront projects along the Mott Haven-Port Morris coastline that have been the subject of decades of community advocacy. The seventy-five page proposal was drafted and presented to the NYS Open Space Region 2 Advisory Committee, which voted overwhelmingly in favor of recommending the entire plan for priority designation in the NYS Open Space Conservation Plan. We await public hearings on this matter, likely to take place in early 2014. Meanwhile, we continued to host local events to continue brainstorming and refining the waterfront plan, including in collaboration with resident architects, CUNY-based urban planners and architects from the Catholic University of Puerto Rico (adding to 2012’s collaboration with urban planners from Columbia and Pratt.) We held multiple environmental bike tours of the waterfront, including one in conjunction with the city-wide Turning the Tide initiative on the anniversary of Hurricane Sandy. We also worked with local businesses as well as Museo del Barrio and La Respuesta to host international urban art festival, Los Muros Hablan (The Walls Speak), which brought together international muralists to create a series of murals, including two in Mott Haven (on 138th Street and Grand Concourse) focused on environmental justice and our waterfront. The National Resources Defense Council (NRDC) submitted an amicus brief in support of the South Bronx Unite lawsuit to block FreshDirect from relocating its trucking operation to a South Bronx neighborhood with asthma rates eight times the national average. Last week, NRDC posted the below excerpt on its blog – available in full here. 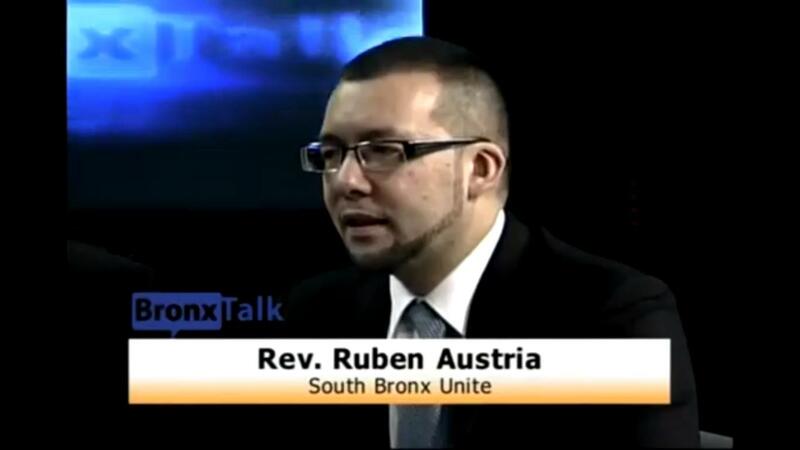 “This week, a South Bronx community might have a rare chance at environmental justice. 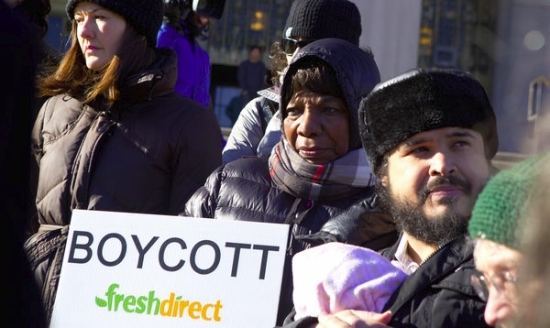 In 2012, the city approved a proposal to relocate online grocer Fresh Direct’s headquarters from Queens to the Harlem River Yard site in the Mott Haven community of the South Bronx. Under the New York State Environmental Quality Review Act (“SEQRA“), anytime New York City or State agencies take an action that may have significant adverse environmental effects, they are required to conduct an environmental review before moving forward with the project. This review requires that the acting agencies evaluate all potential environmental impacts, identify all practicable mitigation measures for such impacts and, ultimately, select any alternative action that will minimize or avoid environmental harms to the maximum possible extent. It’s a great system that requires everyone involved to take a hard look at any proposed action and think of ways to minimize related environmental harm to the community. The SEQRA process has improved (or even halted) countless projects that would have otherwise been much more environmentally damaging. In this case, however, the quality of environmental review that the city and state conducted was uncharacteristically poor. In fact, the government made many of its determinations about the project’s environmental impacts on the basis of a 20-year-old environmental impact statement from an entirely different project. But the neighborhood has changed significantly since 1993 and is more residential than when the original environmental evaluation was done. The current Fresh Direct project is also a departure from the development that was originally envisioned on the site 20 years ago, so much of the environmental review is based on a project that will never be, instead of the project that’s actually expected to be sited there. NRDC, which isn’t a party to this dispute, weighed in with a “friend of the court” amicus brief, asking the court to rule that this environmental review was inadequate and undercuts the purpose of New York’s environmental review statute. At minimum, the government should update its old review to consider changes in the character of the neighborhood and the project, and to closely evaluate viable design alternatives that could mitigate the project’s impacts on the community. “This was a bad idea when it was first voted on a year ago, and it’s an even worse one today. New York City needs jobs, particularly in the Bronx, but this is a wasteful way to do business that picks taxpayers’ pockets in order to reward fat cats. “During the Bloomberg Administration, the Economic Development Corporation has doled out hundreds of millions of dollars in corporate welfare to companies that fail to deliver on their promise of jobs for New Yorkers, and we have no reason to believe this will be any different. “Even if the EDC’s dubious projections turn out to be accurate, the Fresh Direct deal will go down as yet another Bloomberg big business boondoggle. Spending roughly $127 million to create 964 new jobs—$131,397 per job—just doesn’t make economic sense.